Your home reflects your lifestyle – each item and setting selected to bring enjoyment to you and your family. 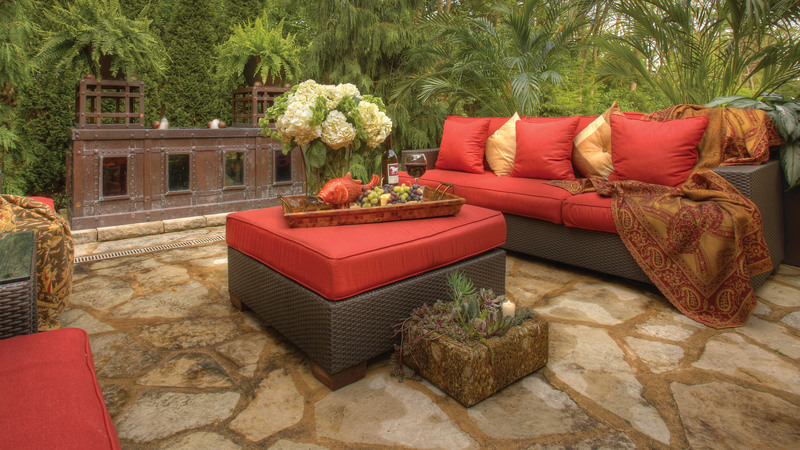 Landfare Ltd. landscape designs bring the same esthetic to your outdoor living spaces. Exceptional landscape design creates a personal paradise that enhances your home’s design and value. 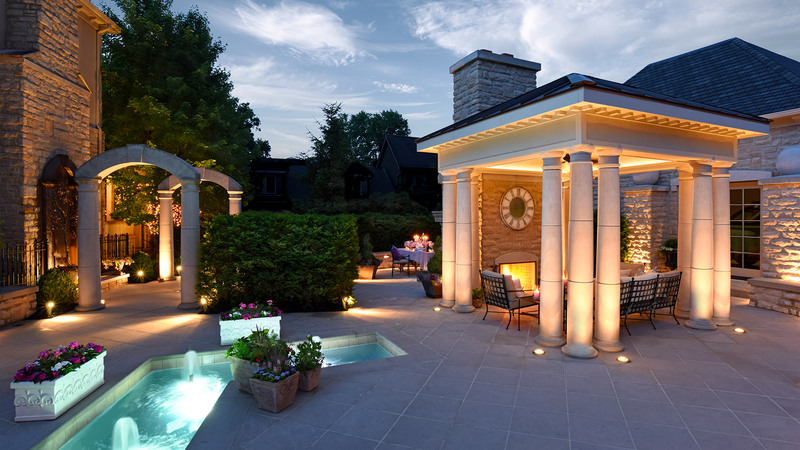 From design to plant selection, hardscape choices to illumination, water features to fireplaces, every detail is planned to create the outdoor rooms and gardens you will enjoy throughout the year. For over 16 years, Landfare Ltd. has been a leading full service landscaping company working in urban and suburban Columbus, Ohio. Inspired by nature and completely responsive to the environment and architecture of each property, our team of landscape and design experts approach each project with one objective: to create beautiful landscaping and outdoor living spaces that enhance your home and your lifestyle. Our team, creates extraordinary one-of-a-kind landscapes by combining our artistic vision, expertise in large trees, shrubs, perennials and indigenous plants, and our knowledge of the climate and challenges unique to our area. We have extensive experience in every aspect of the landscape from wetlands and waterfront plantings to developing and designing water features, ponds, waterfalls and meditation gardens. There are no templates – simply stated, your family and your home are unique. The overarching principle of Landfare Ltd. is that landscape design should always enhance your life. Creating outdoor living spaces that resonate with each client begins with an in-depth conversation with designer John Spayde, who will help discover your vision for the environment you dream of for your home. John translates that to an overview of how the new landscape will reflect your vision, and then to a design plan that incorporates the details that will make your dreams a reality. No detail is left to chance – everything is carefully considered. Landscape and hardscape choices are selected based on color, texture, form and function. 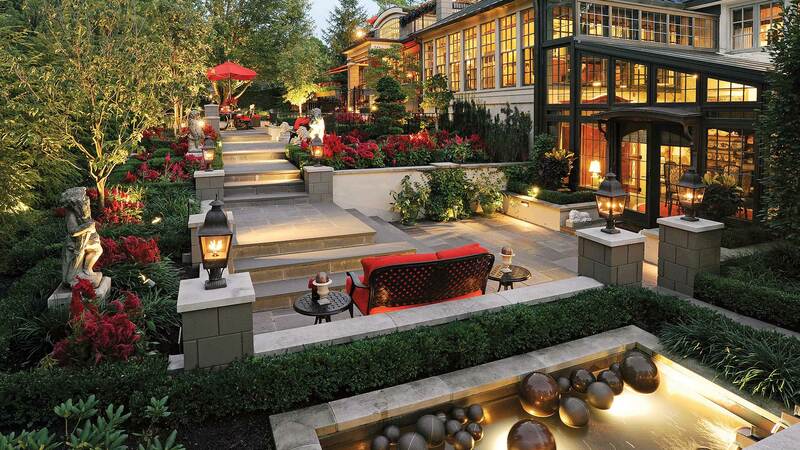 Illumination plans are designed to achieve the perfect ambiance, day and night. Water features are designed to meet the family’s lifestyle, whether serene or actively playful. If you dream it, Landfare Ltd. can create it! 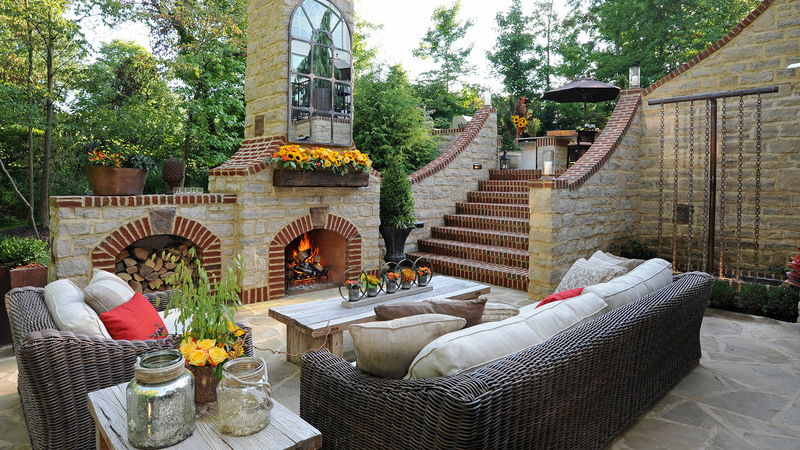 Contact us to discuss how we can help design your perfect landscape and outdoor living space.